In the most unexpected times, you find yourself in need of an RV body repair shop because you might have let it go for too long and now you are ready to hit the road, that is why here at WORLD AUTO BODY we always recommend that RV and motorhome owners look for an RV body shop or RV paint shop in their area in advance. It is crucial to note that RV body repair is challenging. Not all RV body shops will provide with the quality you deserve for multiple reasons we will discuss below. It goes without saying, owning an RV is expensive, and if you neglect it or not repairing it properly it could much more draining on your finances. In addition to asking the typical questions such as experience, RV owners are encouraged to dig deeper. World Auto Body in San Diego urges all RV owners to use precaution and take their time doing their homework prior to settling on an RV body shop. Here are a couple of questions we would advise all RV owners to ask before concluding their RV body shop research, in the order listed below. Does the RV body shop perform all required work internally or outsource it? RV body repair is a bit more complicated than your typical car. It may require specialized equipment or expertise that a lot of auto body shops lack. For this reason, they may outsource the work to an outside RV body shop, which adds complications to the situation, leaving a lot of unknowns on the table, including quality and more. Additionally, the multiple levels involved will build up premiums on the front end leaving you with steep rates to pay, which sometimes require cheap labor to keep the job cost reasonable for the RV owner and with that come low quality work. We at WORLD AUTO BODY urge you to focus on this point because it is one of the most important things to make sure your RV body repair job is done right. Is the RV body shop fully equipped with all the necessary tools and equipment to perform the job? It is vital to find RV body shops and RV paint shops with the right equipment to handle big vehicles. Your RV may also need some body work if the frame is bent or rusted. For instance, such a job might require specialized equipment such as a three-dimensional frame measuring machines that are designed to work on large vehicles such as RVs and heavy trucks. Additionally, all RV body shops should have dedicated welding machines that produce high-quality welds like those from the manufacturer. Similarly, the RV body repair shop needs a large booth to fit the entire RV to get the job done right. Fundamentally, customers should ensure that the proper equipment is available for such specialized jobs. Can the RV Body Shop Fabricate Replacement RV Parts? Most RV models are produced in small volumes. When they break down, some auto parts might be off the shelf or custom, and with age, these parts will become scarce or even obsolete. Thus the RV body shop might have to fabricate parts for some of the jobs if originals are not found. Customers should inquire if the shop has this capability. It reduces the time required to do the RV repair and keep cost down. Does the RV Body Repair Shop Have Qualified Mechanics and Electricians? Experienced auto electricians and mechanics are required for some jobs because RVs have a lot of customized wiring and motor needs. Not all RV paint shops and RV body shops will have the right people to perform the job, which will result in outsourcing parts of the jobs to third parties, which could result on delays and quality issues, including honoring third party warranties on the job. Thus, they may end up providing a lousy service, which will prove disastrous. A simple mistake may lead to extensive, costly damages, which will affect you on so many different levels. When you are inquiring about an RV body repair shop, ask all four questions and pay attention to details. 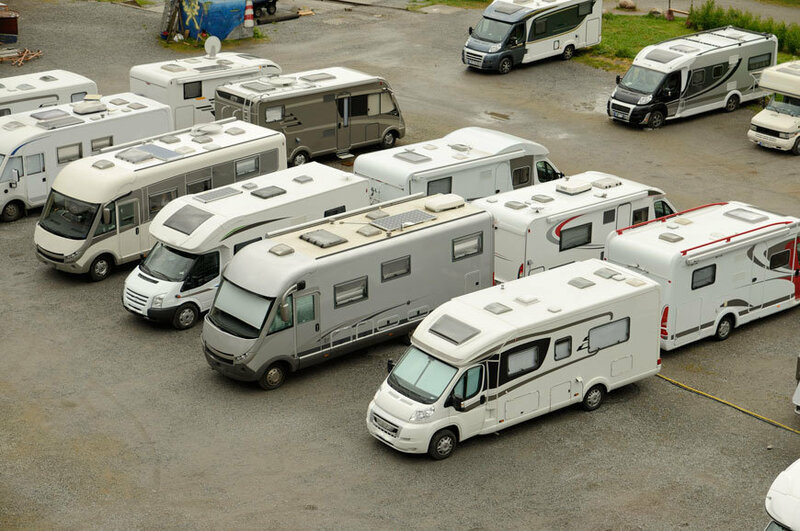 You have already made an ample investment in your RV or motorhome, so don’t rush the process of finding the right shop for the job. At WORLD AUTO BODY we are fully equipped with the complete solution. Find us at www.worldautobody.com today and call your nearest location for quotation. I want to make sure that I take good care of my RV. It makes sense that I would want to find a good RV body shop! I’ll be sure to find one that does all kinds of work on RV’s. Unanticipated things occur at the most unexpected moments. I know contacting an auto collision repair specialist is a soul-stirring moment for a car owner. But the fact is, the car owner has no other option left after encountering a fender bender or a fatal collision. Collision repair is essential for restoring the pre-collision status of your automobile. An incompetent car owner can accomplish this collision repair job on his own. Thus, when it comes collision repair and restoration- https://smiky.com/collision-repair/ , it will be better if you undertake all the measures under an expert’s trained eye. I love what you said about the vitality of finding an RV body shop with the right equipment. I think that contacting an RV collision repair service is the first thing to do in the event of an accident. My wife and I are thinking about buying an RV, and we know accidents happen. That’s why we’ll put effort into finding a great RV repair service. My brother has an RV and he was worried because it was badly damaged after it collided with another vehicle. It was explained here that when looking for a repair shop, it should be fully equipped with all the needed tools for repair. Furthermore, it’s recommended to go to trusted auto services for quality RV body repair.